Filipino super bantamweight prospect Albert Pagara to face Cesar Juarez on July 9, 2016 at San Mateo Event Center, California, USA. Pagara is currently the best fighter in the Philippines and has a record of 26 wins with 18 by way of KO and has no defeats. Pagara is only 22 years old but willing to fight for a world championship early in his carreer. The Filipino boxer is from Cagayan de Oro City, Misamis Oriental, he is a hardhitting boxer and he is the brother of the no.1 WBO world welterweight contender Jason Pagara. On the otherhand, Cesar Juarez is a tough boxer from Mexico City, Distrito Federal. He has a record of 17 wins including 13 victories by way of KO and has 5 defeats. The former world title challenger fought Donaire in 2015 but loses via UD. 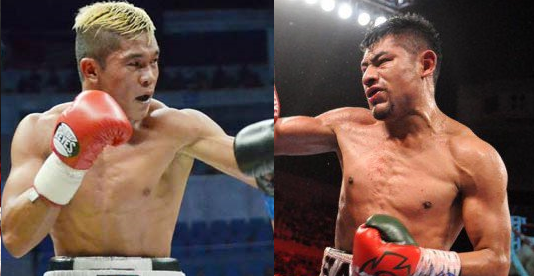 Juarez dropped by Donaire twice in 4th but still dominated the other round. Juarez has an strong chin and he is also has a power that can put Pagara in trouble. Pagara-Juarez will be the 37th Edition of Pinoy Pride Series by ALA Promotions.